Investing in a tool tracking system will make managing the industrial tools at your operation much easier. 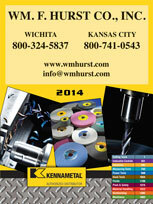 If you have an industrial operation in Kansas City, Wichita, Dallas, Fort Worth, Joplin, or any other nearby city in the Midwest, turn to the industrial supplies experts at Wm. 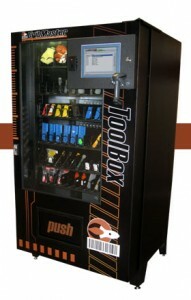 F. Hurst Co., LLC, for an unmatched selection of tool crib vending systems from industry leader CribMaster. Our knowledgeable employees have 15 years of experience working with CribMaster tool tracking systems, and our company has an in-house expert on vending and integrated supply systems, so you can rely on our expertise to recommend the ideal tool tracking solution for your industrial operation. If you are interested in a CribMaster tool tracking system or would like to receive more information on our other inventory management services, please contact us today. Also, you can inquire about our wide range of industrial supplies, which includes carbide drills, sanding discs, assembly tools, safety supplies, cutting tools, metalworking fluids, and much more. Wm. F. Hurst Co. is an industrial tool and supply company that proudly serves businesses in Kansas City, Wichita, Dallas, Fort Worth, Joplin, Springfield, Sedalia, Columbia, and many other cities throughout the Midwest.